Our office is dedicated to make sure that each individual patient has a stress-free and comfortable experience. Dr. Kruyer has formed a team that is educated, talented and devoted to making it a great visit. Jamie is our wonderful hygienist!! She has been with us for 10 years. Jamie has been married for 15 years, and is an awesome mother of four children. Austin (13), Kennedy (10), and twins Olivia and Lincoln (8). She loves spending time with her children, and her husband, Brian. Jamie loves to run, bike, and participate in different races such as; marathons and triathlons. 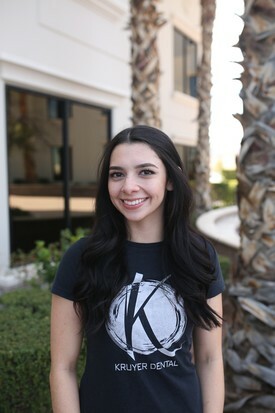 Kayla has been a dental assistant at Kruyer Dental for about 10 years. She loves orthodontics and oral surgery. Kayla is married to her best friend and loves being a mom. She has two beautiful children, Mason (3) and Brielle (1). She loves going on walks with her dog Cami. Her favorite activities involve having ice cream and brownies on the weekends with her family! Debbie was born and raised here in Las Vegas. 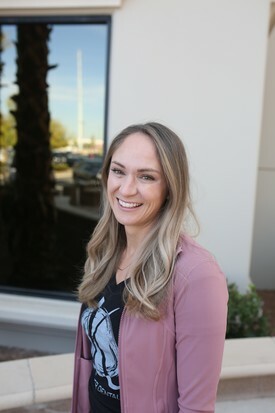 She has been dental assisting with Dr.Kruyer for 4 years. Debbie loves to travel and spent two years living in the United Kingdom. She has a Husky that she loves very much. 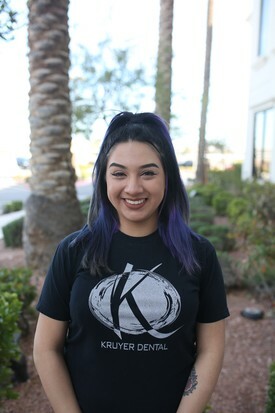 Debbie is currently working on her Bachelors in Kinesiology to then apply to Dental school. 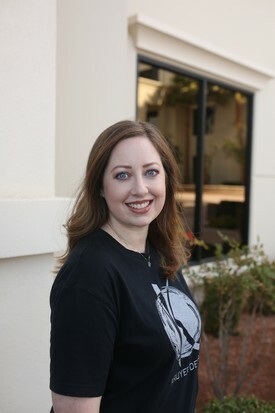 Shana joined our team in March and she has been wonderful. 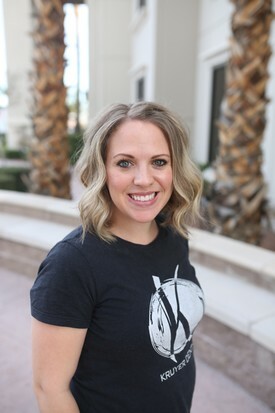 Shana is an Army veteran and has been trained in the dental field. She enjoys hiking, horseback riding, and two-stepping. She is a Mother of two beautiful girls. Donnesha joined our team two years ago. She is a single mother of two autistic boys and is big on spreading autism awareness. 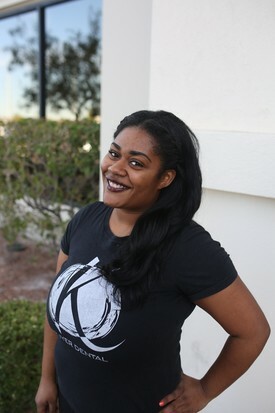 Donnesha is from Nashville, TN and enjoys spending time with her loved ones. She has been a great addition to this team. 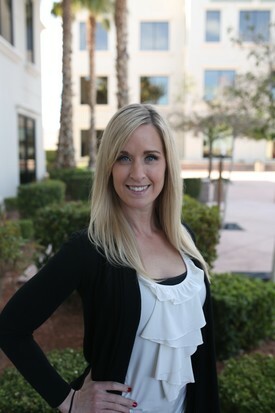 Nikki has been a dental assistant for 17 years and joined the Kruyer dental team a year ago. Growing up some of Nikki's favorite activities were playing soccer and riding horses. She loves spending time with her family, crocheting, and collecting vintage pyrex. Sandy worked for Kruyer dental for three years, left to have a beautiful baby boy, and is back now! Sandy likes to spend time with family and do make up. She is a wonderful make up artist as well as an assistant. We are so happy to have her back!